Alien: Covenantis a 2017 American science fiction horror film directed by Ridley Scott and written by John Logan and Dante Harper, with a story by Michael Green and Jack Paglen. The film is a sequel to the 2012 filmPrometheus, the second installment in theAlienprequel series , and the sixth installment overall in theAlienfilm series , as well as the third directed by Scott. The film stars Michael Fassbender , Katherine Waterston , Billy Crudup , Danny McBride and Demián Bichir , and follows the crew of a ship who land on an uncharted planet after receiving a rogue transmission and make a terrifying discovery. but underperformed at the domestic box officeand grossed a total of $231 million worldwide against its $97 million budget. 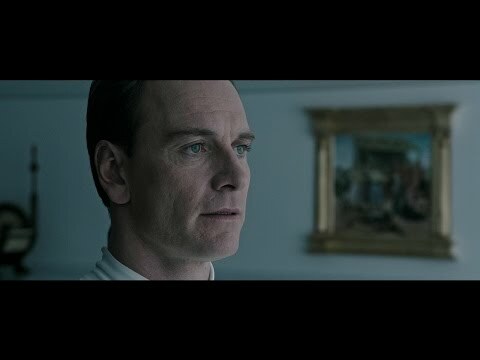 In a prologue, business magnate Peter Weyland ( Guy Pearce ) speaks with his newly-activated synthetic , who chooses the name " David " ( Michael Fassbender ) after looking at a replica of Michelangelo's statue of David . Weyland tells David that one day they will search for mankind's creator together . David launches into an ominous statement about his unlimited lifespan as compared to his creator's limited one, foreshadowing a turn in the hierarchy of their relationship. Covenantis bound for a remote planet, Origae-6, with two thousand colonists and a thousand human embryos onboard. The ship is monitored by Walter (Fassbender), a newer synthetic physically resembling the earlier David model, albeit with some modifications. A stellar neutrino burst damages the ship, killing some of the colonists. Walter orders the ship's computer to wake the crew from stasis, but the ship's captain, Jake Branson ( James Franco ), dies when his stasis pod malfunctions. While repairing the ship, the crew picks up a radio transmission from a nearby unknown planet, dubbed by Ricks ( Jussie Smollett ) as "planet number 4".Against the objections of Daniels ( Katherine Waterston ), Branson's widow, now-Captain Oram ( Billy Crudup ) decides to investigate. As theCovenantremains in orbit, an expedition team descends to the planet's surface and tracks the transmission's signal to a crashed alien ship. While on the surface, security team members Ledward ( Benjamin Rigby ) and Hallett ( Nathaniel Dean ), Sergeant Lope's ( Demian Bichir ) husband, are inadvertently infected with alien spores. Karine ( Carmen Ejogo ), Oram's wife, helps the rapidly sickening Ledward back to the lander, where Maggie Faris ( Amy Seimetz ), wife of pilot Tennessee Faris ( Danny McBride ), quarantines them both inside the med-bay. A small pale alien creature ( Neomorph ) bursts from Ledward's back, killing him, then mauls Karine to death. Maggie attempts to shoot the creature, but accidentally triggers an explosion which kills her and destroys the lander. The Neomorph escapes to the planet's surface while another such creature bursts from Hallett's throat, killing him. The Neomorphs attack the remaining crew members and kill Ankor (Alexander England). 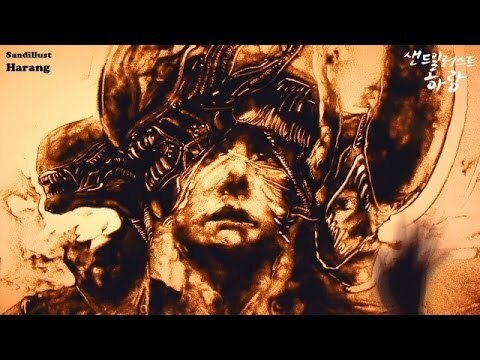 The crew manage to kill one before David, who survived thePrometheusmission, scares away the other and leads the crew to a city full of humanoid ( Engineer ) corpses. David tells them that upon his and Dr. Elizabeth Shaw's arrival at the planet, their ship accidentally released a black liquid bioweapon which killed the native population and that Shaw died when the ship crashed in the ensuing chaos. After the crew members tell David of their mission, they attempt to radio theCovenantfor help, but the surviving Neomorph infiltrates the city and finds security team member Rosenthal (Tess Haubrich) alone before decapitating her. David tries to communicate with the creature, but is horrified when Oram kills it. Under Oram's gunpoint, David reveals that the aliens are a result of his experimenting with the black liquid as a catalyst to create a new species. He leads Oram to an incubation chamber and tricks him into being embraced by a facehugger which implants Oram with a Xenomorph which, some time later, erupts from Oram's chest, killing him. As the others search for Oram and Rosenthal, Walter, who has found Shaw's dissected corpse, confronts David after realizing that David had deliberately unleashed the black liquid upon the Engineers. David explains that he believes humans are a dying species and should not be allowed to colonize the galaxy. When Walter disagrees, David disables him and confronts Daniels, telling her he will do to her "exactly what he did" to Shaw. Walter reactivates himself and fights David, allowing Daniels to escape while Lope is attacked by a facehugger; security member Cole ( Uli Latukefu ) saves Lope, but the now mature Xenomorph attacks them and kills Cole. Tennessee arrives in another lander to extract Daniels, Lope, and the seemingly victorious Walter. They kill the Xenomorph before docking with theCovenant. However, Lope had been implanted with another Xenomorph embryo, which bursts from his chest and kills him before escaping into the ship, quickly maturing before killing crew members Ricks and his wife Upworth ( Callie Hernandez ). With Walter's help, Tennessee and Daniels lure the creature into theCovenant's terraforming bay and flush it into space. TheCovenantresumes its trip to Origae-6, and the surviving crew re-enters stasis. As Walter helps puts Daniels under, she realizes that he is actually David. A horrified Daniels is unable to escape her stasis pod as she falls asleep while David watches. Now in control of both the ship and its population, David regurgitates two facehugger embryos and places them in cold storage alongside the human embryos before exploring the cargo bay containing the colonists in stasis, ready to continue his experiments. He then poses as Walter to record a log explaining that all crew members except Daniels and Tennessee were killed by the neutrino blast at the beginning of the film and the ship is still on course for Origae-6 before signing off. 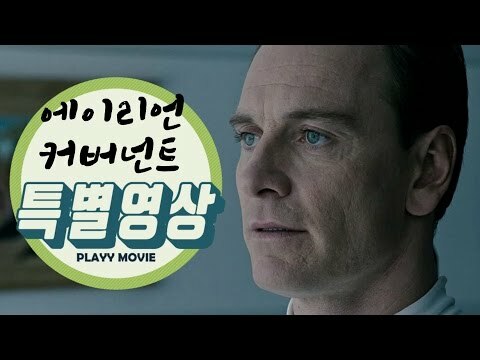 // Alien: Covenant - Walter and David's playing flute scene 2 에일리언 커버넌트 피리씬 5960 views runtime : 0:00:00 에일리언 커버넌트에서 월터와 데이빗이 함께 곡을 완성하는 장면 곡, Bravo 입니다. Alien: Covenant - David and Walter's playing flute scene 2 (Bravo)..